Fine adjustment dial in increments of .005”. A full turn equals .050”. Comes with everything you see on the left. Ready, easy to install. New “Z” axis attachment in place on The Acra Mill Plus. Shown with optional “Y” Table. All 3 axis, X, Y, and the NEW “Z” axis attachment. 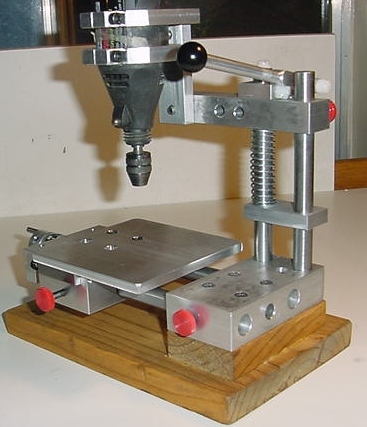 PRECISION GROUND MACHINIST VISE TO FIT IN THE ACRA MILL ”X” TABLE ; NOW $39.95+ 9.95 S&H ; FREE S&H WHEN ORDERED WITH THE MILL. COMES WITH ALL THIS. 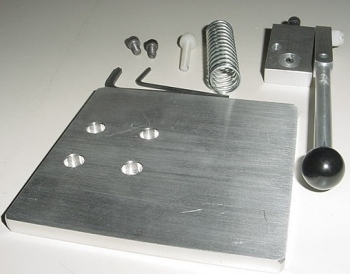 THE TABLE USES STANDARD 8-32 SCREWS, SO YOU CAN CREATE MANY DIFFERENT SET UPS TO HOLD ALL SORTS OF PIECES. 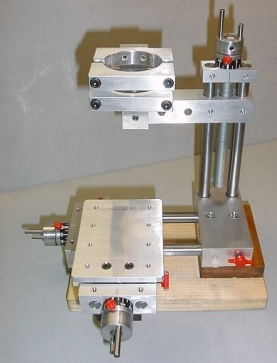 12” RODS FOR THE MICRO LATHE, “X” AXIS, OR THE “Z” AXIS. 12 INCH RODS; $29.95 A PAIR + $12.00 S&H. 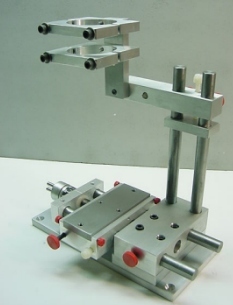 SPECIFY MICRO LATHE “Z” OR “X” AXIS WHEN ORDERING. NEW SOLID ALUMINUM BASE PLATE ! 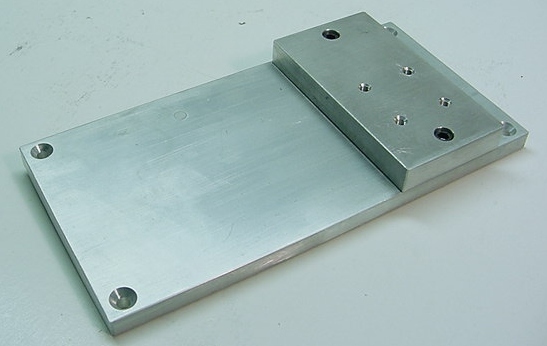 THE BASE PLATE FOR THE ACRA MILL PLUS IS A 2 PIECE SOLID ALUMINUM MACHINED BAR STOCK. THE LARGE PLATE MEASURES 3/8” X 4” X 8” LONG. IT COMES WITH ALL THE HARDWARE TO MOUNT THE MILL. REPLACES THE WOODEN BASE THAT COME STANDARD WITH THE ACRA MILL PLUS. 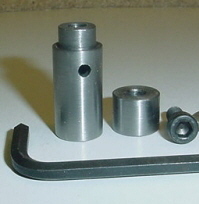 $40.95+ $8.95 S&H; OR FREE SHIPPING IF ORDERED WITH MILL. 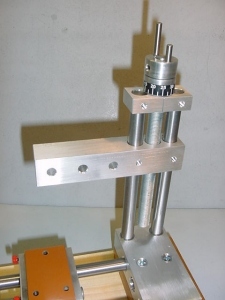 THE ACRA MILL WITH THE NEW ALUMINUM BASE PLATE. EVEN MORE STABILITY, AND LOOKS GREAT! 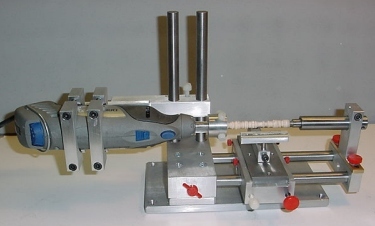 THE MICRO LATHE HAS A 11” CAPACITY (WITH 12” RODS) FROM CENTER TO CENTER. 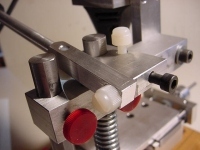 THE MICRO LATHE TAIL STOCK WILL ADJUST TO ANY MOTO TOOL.ADJUST HEIGHT AND FROM SIDE TO SIDE IN SECONDS. YOU CAN USE ANY NUMBER OF SMALL SHARP TOOLS TO DO YOUR WORK. 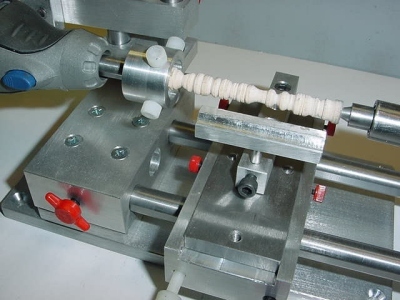 THE MICRO LATHE IS FAST, EASY, AND FUN TO USE. IT ONLY TAKES A COUPLE OF MINUTES TO SET UP. 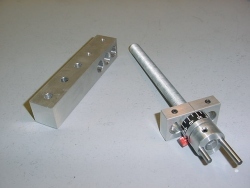 AGAIN, ALL PIECES ARE MACHINED FROM SOLID , ALUMINUM, AND WATER HARDENED STEEL.